The following is the full text of a press release issued by the Nevis Culturama Committee. Minister of Agriculture reflects on the strides made by the sector over the years. The following is the full text of the address delivered by Hon. 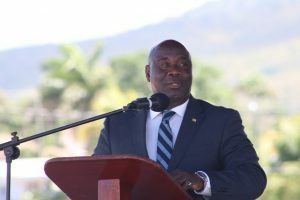 Alexis Jeffers, Deputy Premier and Minister of Agriculture in the Nevis Island Administration at the 25th Annual Agriculture Open Day opening ceremony on March 28, 2019 at the Elquemedo Willett Park. The following is the full text of Opening remarks delivered by Hon. 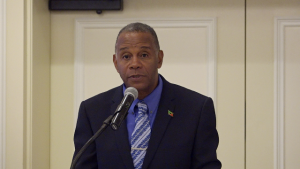 Eric Evelyn, Minister of Social Development in the Nevis Island Administration on Day 2 of the 2nd Biannual Regional Forum on the Sustainable Development Goals on March 28, 2019 at the Four Seasons Resort, Nevis. The following is the full text of a press release issued by the Nevis Electricity Company (NEVLEC).